For the fourth straight year, Hews Media Group-Los Cerritos Community News, Publisher Brian Hews and staff garnered five Los Angeles Press Club finalist nominations to be awarded at the 58th Annual Southern California Journalism Awards, June 26, 2016 at the Millennium Biltmore in downtown Los Angeles. And for the first time, HMG-CN Sports Editor Loren Kopff earned three nominations. There were over 1,000 entries for the event. The nomination categories are Investigative Series and Sports articles. The investigation revealed that Commerce Mayor pro tem Tina Baca Del Rio repeatedly abused the city’s Vehicle Use Policy (VUP) collecting a $500 monthly stipend while continuing to use the city’s vehicle for official and personal use. The state-wide comprehensive investigation found that the California State Water Resources Control Board (SWRCB), an unelected body made up of members appointed by Governor Brown and by Senate Pro Tem Kevin DeLeon, and stacked heavily with environmentalists and labor leaders, deliberately assigned higher levels of water conservation to water agencies located in districts with seats held by State Senate and Assembly Republican office holders as opposed to agencies in the districts of Democratic office holders. Many prominent journalists called for an FBI investigation after the story was published. HMG-CN Sports Editor Loren Kopff garnered three nominations, two for Sports Category and one for Entertainment News or Feature. The story outlined how Kenna was primarily known for being a varsity member of the girl’s basketball team at Valley Christian but then recorded her first self-titled album, “Kenna” coming less than a year after she graduated from V.C. HMG-CN won six Press Club Awards in 2012, 2013, and 2014. In 2012, HMG-CN won 1st place in the Investigative Series category for its exclusive expose on Assessor John Noguez in what turned out to be the “biggest financial scandal in Los Angeles history,” according to then-Los Angeles District Attorney Steve Cooley. As a result of the series, Noguez was arrested on bribery and corruption charges and is awaiting trial. A number of other arrests were made, including Tax Agent Ramin Salari and Mark McNiel one of Noguez’ deputies. Noguez was charged with 30 felony counts, including four counts of accepting bribes; five counts of perjury; two counts of conspiracy; and 19 counts of misappropriation by a public officer. The complaint alleges the fraud and embezzlement exceeded $500,000. If convicted as charged, Noguez faces up to 38 years in state prison. Salari was charged with 59 felony counts, including 24 counts of bribing an executive officer; two counts of conspiracy; 19 counts of misappropriation; seven counts of embezzlement; and seven counts of grand theft. If convicted, he faces up to 60 years in state prison. McNeil was charged with 20 felony counts, including one count of conspiracy and 19 counts of misappropriation by a public officer. If convicted, he faces up to 29 years in state prison. Wholesale institutional changes were also made at the Assessor’s office to eradicate future abuses of the system. The series also garnered a Pulitzer Prize nomination for HMG-CN. HMG-CN also took home two 2nd place awards in 2013 for Investigative Series and Hard News category. 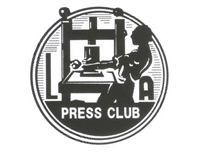 This was the second time in three years that HMG-CN won one of the Los Angeles Press Club’s most prestigious awards. The investigation revealed that the Booster Club violated several California laws and had little or no oversight on where or how hundreds of thousands of dollars were spent every year. HMG-CN won another award for second place in the News Feature category Under 1,000 words category for the riveting expose on former Central Basin Municipal Water District GM Art Aguilar and his expensive golf outings with top officials at Pacifica Services, Inc., including CEO Ernie Camacho and VP Mike Sisson, that Aguilar did not report on his Statement of Economic Interests Form 700. After the story published, the California Fair Political Practices Commission investigated Aguilar and eventually fined him $30,000.